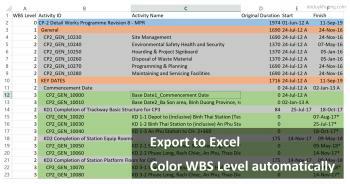 Select a color for WBS Level 0. In the Applies to box, click the arrow icon to select the cells. We select nearly the whole table. Now every WBS Level 0 will have green color. 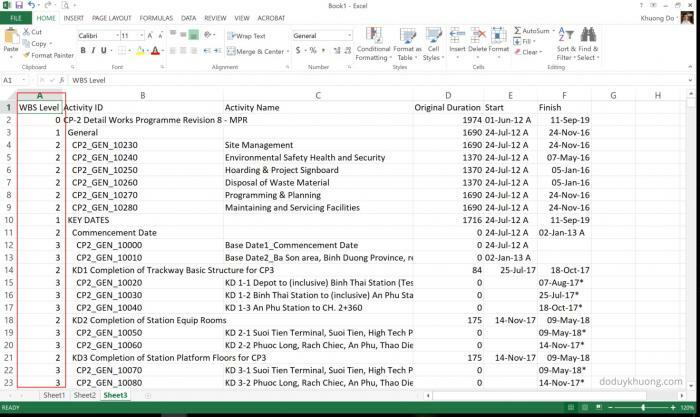 How do display the wbs names in the excel file? 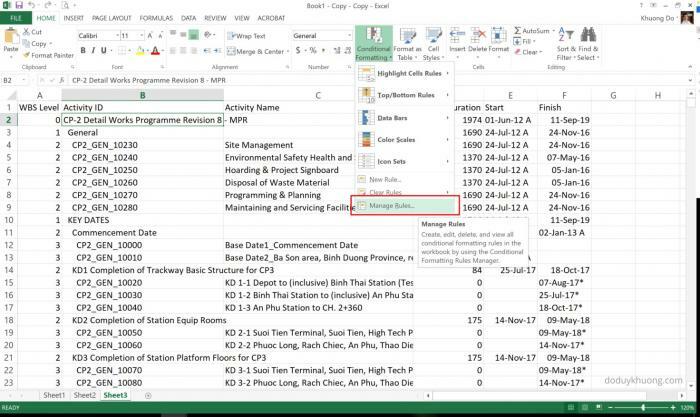 what you want to do is copy all the information from p6 to excel. 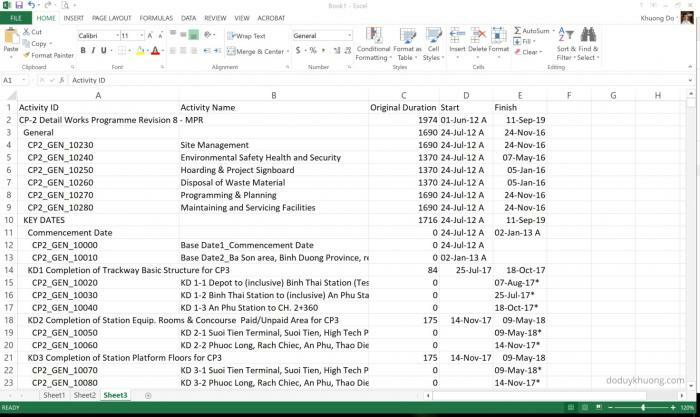 Paste the data staring in column B. 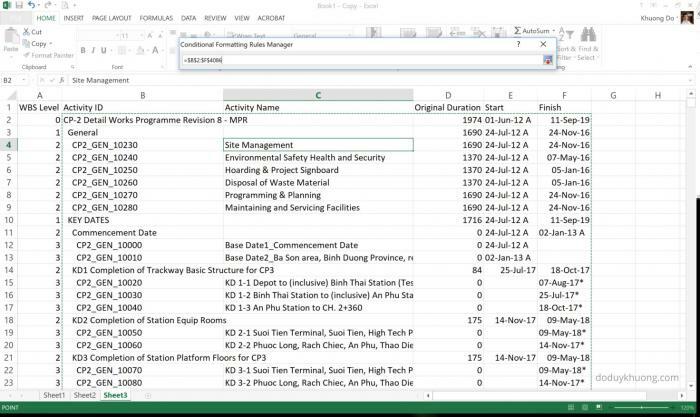 Then filter excel and filter where column C is blank, This will give you all of the WBS only rows. Then in column A2 add this formula which looks like this =LEN(B2)-LEN(TRIM(B2)). 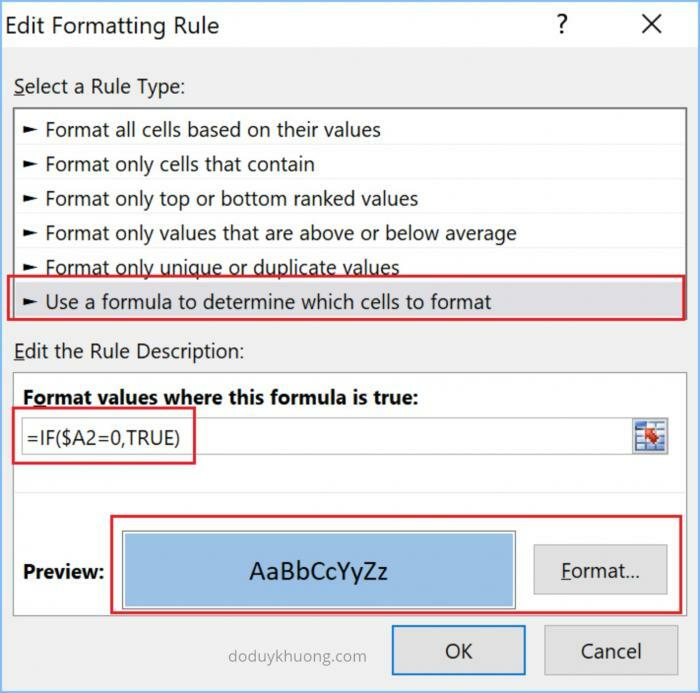 Copy this formula down in column A. This will give you the blank spaces before each character . This will reveal the indentation created by the P6 WBS. Next Filter Column A for each number then select all the row with that number and format those rows with a color. Filter column A for each value and give each different number row a different color. Now your excel sheet looks like P6 with the coloring. 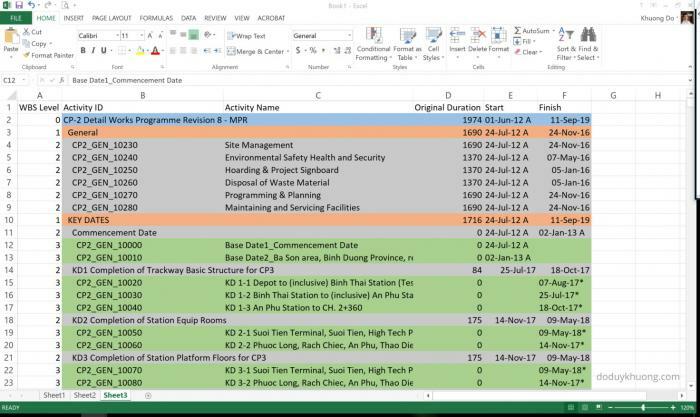 I also use an "isblank" statement in the conditional formatting to distinguish from WBS heading and activity, ie all activities have the same formatting similar to what is shown in P6. Only the "WBS Headings" are formatted. How do you input the WBS values in the inserted column? manually? Excellent post! Simplicity is Beauty now, as is so often the case. I presently run a macro to colour the row by WBS level, which means sometimes one needs to 'refresh' the colouring up. 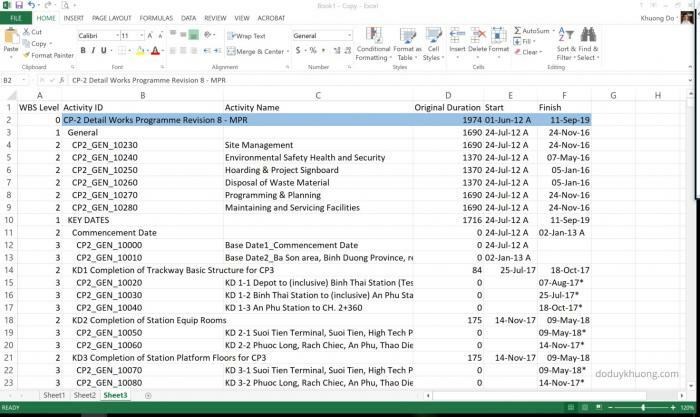 This method requires no VBA, and will apply as soon as the project calculates upon a change to any of the numbers in Column 'A'.